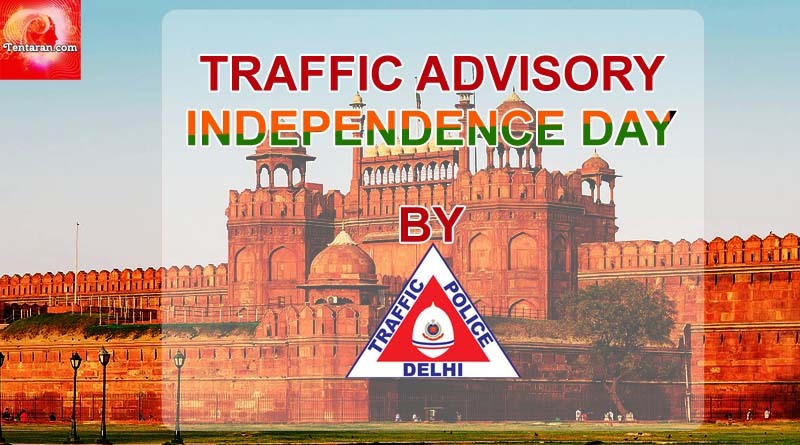 There shall be traffic restrictions in Delhi for Independence Day 2017. 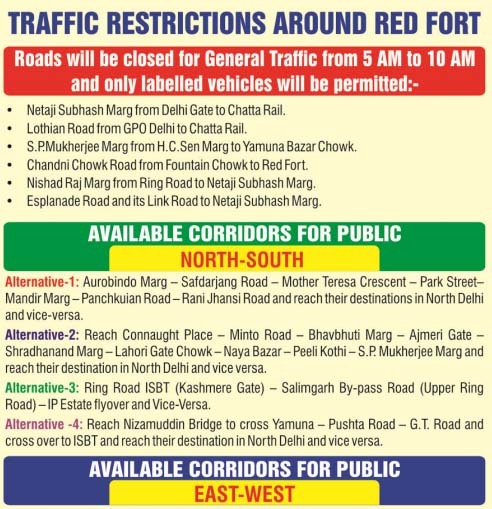 Delhi Police has issued traffic advisory to facilitate movement of V.I.P. 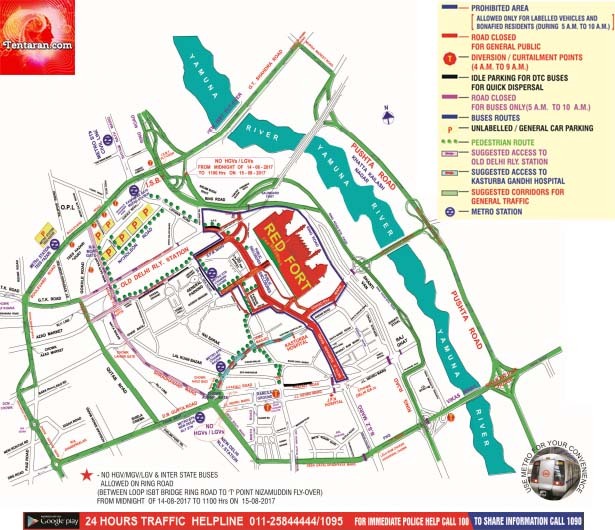 vehicles, invitees and general public to reach the place of function and also to ensure safe and smooth flow of Traffic in other parts of the city. 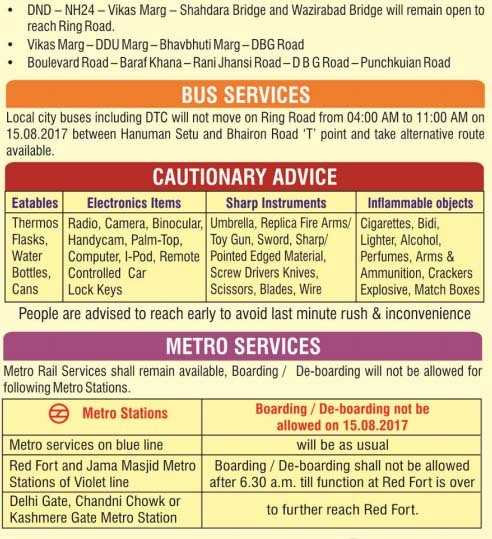 Get complete information on which roads to avoid, how to reach, where to park, nearest metro station for Independence Day 2017. Don’t forget to share this page to yourself and your friends on WhatsApp for quick reference.